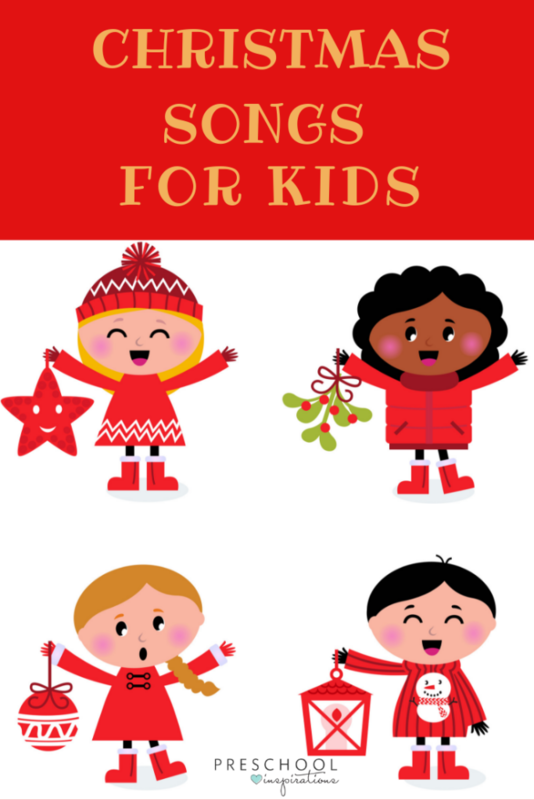 Christmas songs for kids that are teacher and parent approved! This year, I turned on the Christmas music before Thanksgiving. The truth is that I adore Christmas, and my music-loving soul adores that it comes with its own soundtrack. Normally I’m a strict “no Christmas music before Thanksgiving” rule-follower, but every year as the Christmas season ends I find myself wishing that I’d listened to more Christmas music! I’m sad that I have to wait almost a whole year to turn it on again. Not this year. Bring it on! Whether we agree or disagree about the timing, I’m glad that there’s plenty of quality Christmas music out there to use with kids! It’s such a powerful teaching tool that can be used all throughout the day. 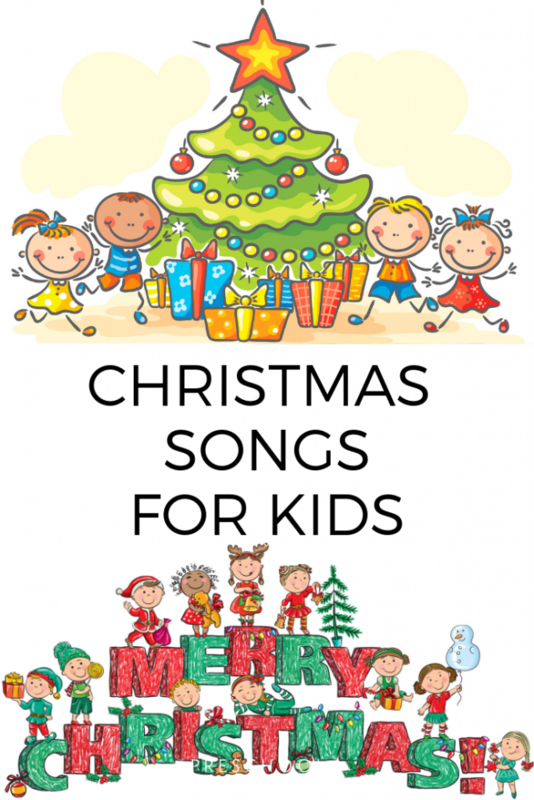 Below is a round-up of some of the best Christmas songs for preschoolers and some great one for Christmas parties. This is the first Christmas song my kids learned, and the one they most enjoy singing over and over! This is a great version because the first time it goes through the song, it leaves space for the kids to repeat the melody, line by line. This is a great method to learn new music! Then once they’ve gone through the whole song with the call-and-response, they get to sing it again all together. If you’re not into the call-and-response of the previous version, here’s a more traditional take of the classic Christmas song for kids. The words are included on the screen, which is great reinforcement for those early readers! It also includes a cute new 2nd verse to try. Thumpety Thump Thump! Who doesn’t love Frosty? This is a perfect Christmas song for preschoolers. Share his sweet story with a whole new generation! Along with Jingle Bells, this is my kids’ most requested song! The video goes through the song twice with really sweet animations. My heart goes out to Rudolph each time he cries! The Grinch is such a cultural phenomenon that it’s easy to forget that our beloved Dr. Seuss, Theodor Geisel, is the one who started it all! Enjoy his ingenious lyrics in this version from the 1966 cartoon special. Super Simple Learning is genius at taking classic Christmas music for children and making it hands-on! This is what they call an “action verb twist” on the familiar tune. It’s great to practice following directions, and the calm nature of the song will encourage movement without getting too wild! This Christmas song for toddlers or preschoolers incorporates lots of imaginative movement and can be sung either sitting or standing. It repeatedly counts to 10, giving some early math practice too. I really love it when brilliant people take familiar songs and turn them into great Christmas music for kids! These sweet reindeer will have your whole class up and grooving! My kids loved the Halloween version of this song so much, I was thrilled to see a Christmas one as well! My favorite is to keep the screen off and just play the music. It makes them listen so much more closely when forced to rely on just the audio! This Christmas song for preschoolers is another good one to practice following directions. It’s so simple and sweet, I just wish it were longer! Buckle up for this action version of the traditional song! Your kids will have a blast with the dance moves. It also includes the lyrics on the screen. You guessed it – Baby Shark is back with a new holiday twist! Meet reindeer and elf sharks, then help Santa shark prepare and deliver presents on Christmas. This sweet little rhyming song is done first as a chant, then the same words repeated with a melody. Chanting and singing are actually different skills and both are very beneficial! Once your class has this memorized, you can use it almost any time you come across a snowman this season! This is a great Christmas song for toddlers, but preschoolers and some older kids are sure to love it too! Practice color recognition while exploring familiar Christmas objects. The video is sure to capture your children’s attention as they answer the questions and wait for the right color to appear. Hooray for Christmas music for children that also incorporates learning! While there are several songs out there that help count to ten, I love that this one doesn’t stop there but goes all the way to 20! This is based on the familiar B-I-N-G-O song, but Christmas-themed to be about Santa! It’s great for letter recognition and also for some critical thinking – it can be hard to remember which letters to say and which not to say! What do you think of these songs? Are there one or two that your children can’t get enough of? We’d love to hear which ones! Need songs for a Christmas concert? Check out these songs from Fantastic Fun and Learning. Want some more songs? We’ve got you covered!